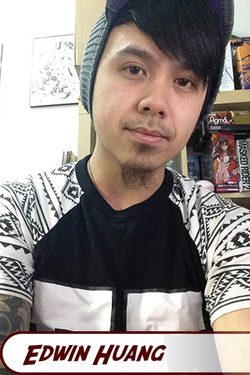 Our next release in the Guest Artist series, another Munchkin Guest Artist Edition, hits shelves soon, so we took a moment to sit down with the artistic mastermind behind it: Edwin Huang. We've featured Edwin on the Daily Illuminator before, but we wanted to get the inside scoop on his process, and his thoughts on Munchkin. 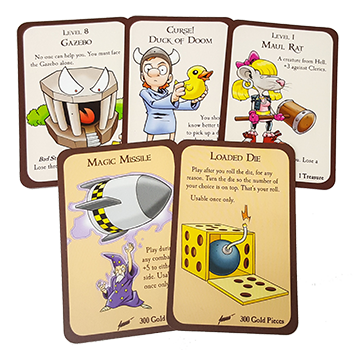 Before you started working on this project, had you played Munchkin? I picked up the game after working on the Munchkin Skullkickers booster packs with Jim Zub. I now own way too many expansions! How did you end up getting involved with the project? Who approached whom? Andrew Hackard approached me a bit after I wrapped up the Skullkickers booster pack expansion. And without any hesitation, I said yes! Did you base your version of the game on John Kovalic's original? Or did you aim to do something completely new? A lot of my cards pay homage to Kovalic's original art. There are a few where I went a completely different direction, though. There are too many fun ways of approaching these ideas and not enough cards. What did you do to prep for drawing this Munchkin set? Played a boatload of Munchkin, of course! Jokes aside, I did have to familiarize myself with the base set again. Playing with just the base set alone is pretty fun. What's your favorite card you illustrated? I had a lot of fun drawing the three Elf cards. They are by far my favorite race cards in the game. Was there a card or cards you struggled the most to get right? I struggled the most with the Plutonium Dragon. It was tough showing his scale and size. I think I nailed it in the end, though. You already draw for Street Fighter Unlimited and Skullkickers. Is there anything you wish you could illustrate? I've always wanted to draw a few Magic The Gathering cards. Definitely something on my bucket list. Do you have any projects coming up that fans should look for? I'm currently working on UDON Entertainment's Street Fighter vs Darkstalkers. It's the first crossover comic series in UDON history! It should be on shelves in Spring of 2017. How can fans find you online? And you can always reach out and interact with me on Instagram @ironpinky. 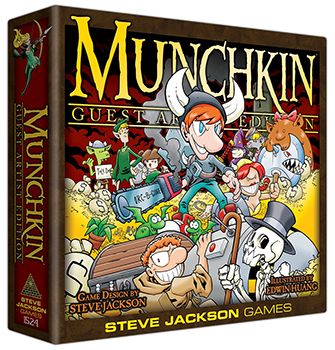 Munchkin Guest Artist Edition is hitting stores in early April. Like all of our Guest Artist Editions, this is a limited-run game, so preorder it at your local game store today!